Henry Waldo Coe was born in Waupon, Wisconsin, on November 4, 1857 to Dr. Samuel Buel Coe and his wife Mary Jane (Cronkhite), oldest of six children, one of three out of four sons who all eventually followed their father into the medical profession. His father was a pioneer doctor in Wisconsin and served as a surgeon in the Union army during the Civil War. His parents moved to Morristown, Minnesota, when Coe was five. After graduating from the local high school, Coe took liberal arts courses at the University of Minnesota. He eventually transferred to the University of Michigan-Ann Arbor to study medicine and completed part of his internship under the tutelage of his father. Their partnership continued as both arrived in Dakota Territory in the spring of 1879 by railcar in Valley City. They brought a foot powered printing press clandestinely owned by railway agent C.F. Kindred. Very little settlement had occurred despite the railroad's presence in Valley City for over seven years. Henry Coe published the first issue of the Northern Pacific Times on May 12, 1879. As much promotional handbill as newspaper, it extolled the virtures of the Sheyenne Valley. After copies were sent "out East," settlers began to arrive within months. His father Samuel remained in Valley City, served on the committee to spearhead the city's incorporation in 1881 and was elected to the first city commission. Samuel Coe also served as editor of the newspaper until 1880. In October 1879, the paper explained "Dr. H. W. Coe was in the East courting his girl" when he was unavailable to care for a gunshot victim. Henry finished his formal medical education, graduating from Long Island (NY) College Hospital in July 1880. Henry returned to Dakota Territory to provide medical care to the Railway's construction crews through 1883. But he eventually established his own private practice in Mandan. While Henry Coe was one of the first physicians to settle in North Dakota, like his father, he didn't just "doctor." The first recorded civic service for was on May 3, 1881 when the Mandan Village Trustees appointed him city clerk. He was one of the directors of Mandan's first school board. Coe later served as mayor of Mandan from 1886-1889, elected as a member of the "Knights of Labor" party. In 1890 Coe was elected president of the ND State Medical Association, and appointed Superintendent of the ND State Board of Health. In 1884 he had been elected to the last territorial legislature (1885), before Dakota Territory was divided. One important bill he co-sponsored with Seth Peterson (then editor of the Valley City newspaper he started) regulated the licensing of individuals who desired to practice medicine in the Territory. After his apparent failure to win over his girl "out East", Henry redirected his efforts locally. While initially among the innumerable single men in the frontier town, on June 20, 1882 he married Viola Mae Boley, whose parents were among the earliest pioneers to the area. Mrs. Coe would later provide the organ music for the first Fourth of July celebration in Mandan. Her father Elijah had brought an organ with them from Ohio. In 1884, Coe met a young Theodore Roosevelt who was here trying to regain his health. Aside from his personal friendship, Henry Coe admired Roosevelt's politics. Theodore was a deputy sheriff of Morton County which at one time extended to the Montana border and Roosevelt routinely traveled to the county seat at Mandan. Even after the county was subdivided, TR lived in a part of the district Coe represented in the Dakota Territorial Legislature. Their friendship lasted until Roosevelt's death in 1919. Dr. Coe and his family primarily lived at 203 2nd St NW and at the time, the stable at the rear of the house kept the doctor's team and buggy ready for any emergency trip into the country-side. Henry and Viola Coe moved to Portland in 1891 where he focused his practice on treating nervous and mental diseases and owned and operated Morningside Hospital there. In January 1893 he established The Medical Sentinel, an independent medical magazine. Coe had other business interests in the area. 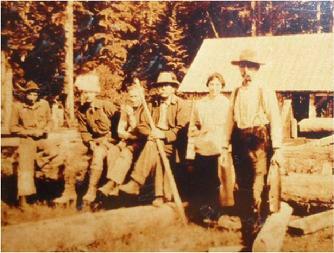 Henry Waldo Coe was the owner and operator of the Mount St. Helen's Consolidated Mining Company. Copper, gold and silver plus an assortment of non-metal minerals were discovered in commercial quantities on east side of the Spirit Lake, in the shadow of Mt. St. Helens. Mining peaked in the area between 1902 through 1908. His involvement in the Washington mining industry is highlighted in the Mt. St. Helens Visitor Center operation by the US Park Service. Coe served in the Oregon state senate in 1894 and later as Oregon's US Senator. Dr. Coe served as president of the City and County Medical Association and was a professor of medicine at Willamette University in Salem, OR. He was one of the party leaders of the national Progressive Party (i.e. "Bull Moose Party") in the early 1900s. He served a president of Oregon's Roosevelt League. 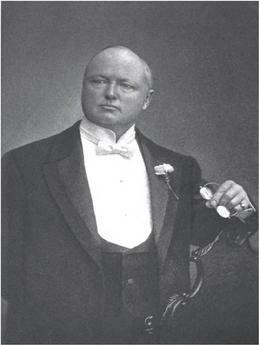 He and his wife would be invited on numerous occassions to lunch at the White House, as guests of both President Theodore Roosevelt and Howard Taft. 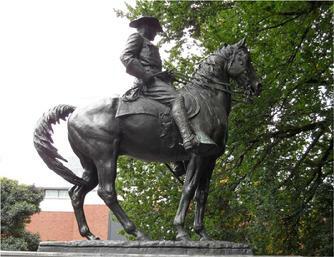 Coe had a statue of Theodore Roosevelt made (by Phimister Proctor) and donated it to the city of Portland. 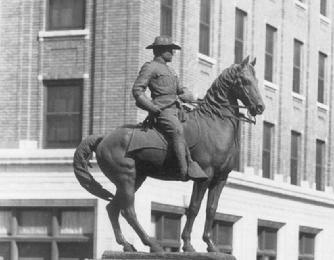 He also donated a smaller version of this "Roughrider" statue to Mandan in 1924. It stands today in the ellipse driveway in front of the Railroad Depot on Main Street West. In addition to the statue of Theodore Roosevelt, other statues which he donated to Portland were George Washington (by Pompeo Coppini), Abraham Lincoln (by George Fite Waters), and Joan of Arc (by Emmanuel Fremiet). Coe had three sons from his marriage with Viola Mae Boley; George Clifford born on January 17, 1885 in Mandan; Wayne Walter Coe born October 10, 1894 in Portland; and Earl Alphonso born August 7, 1896 in Portland. Viola Boley Coe was also educated as a medical doctor, graduating from Woman's Hospital Medical College of Chicago. While living in Oregon, she focused on philanthropic activities. However her and her husband were among a group assigned in 1907 to travel to Panama to report to then President Theodore Roosevelt on working conditions during the construction of the Panama Canal. After a very public divorce, on March 25, 1915, Henry Coe married Miss Elsie Ara Waggoner of Los Angeles. He retired from active practice in 1920, and he and Elsie traveled extensively in Europe, Africa, Asia and South America. He died on February 15, 1927 while undergoing medical treatment in Glendale, CA. When his funeral was held later in Portland, flowers were reportedly sent from every state in the Union. The Society appreciates information from the University of Oregon Libraries used in this Legacy Program biography. Dr. Coe's association with the Northern Pacific Times newspaper as well as his father's involvement in Valley City history is courtesy of the Barnes County Historical Society.